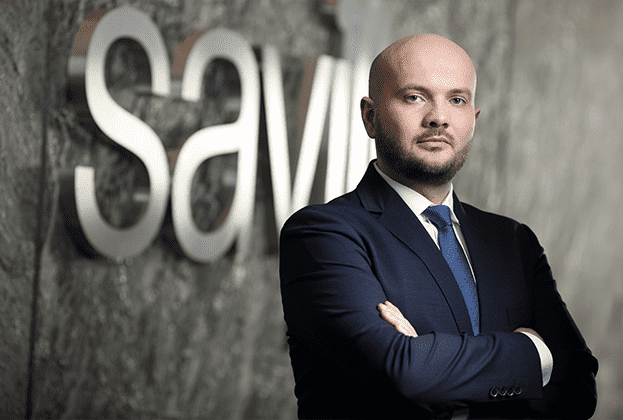 In response to the rapid growth of the Krakow property market, real estate advisory firm Savills has moved its local office to High5ive. Krakow is the largest regional office market in Poland. According to Savills data, nearly 60,000 sq m of new space was delivered in the city in the first half of 2018 and almost 300,000 sq m is currently under construction. According to the latest summary of the warehouse and industrial market in Poland prepared by Savills, at the end of the first half of 2018 the space under construction for the first time in history exceeded 2 million sq m. More than 3/4 of this space has already been leased. 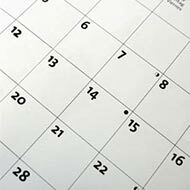 Record level of new supply was accompanied by highest ever demand effecting the fall of vacancy rate to 4.0%, which is the lowest value in history. Real estate advisory firm Savills, which is responsible for leasing office space at North Gate, has recently represented the building’s owner Deka Immobilien in lease transactions for a combined area of more than 8,000 sq m.
Selling and leasing back is becoming an increasingly attractive option for value-add investors to source property in a European market where assets available for sale are rare, according to international real estate advisor Savills. Approximately €1.1 billion retail properties have been sold and leased back (SLB) in Europe in the past 12 months. In the first half of 2018 SLB accounted for €850 million (4%) of the total €18.5 billion invested in retail across Europe, according to Savills analysis of data from Real Capital Analytics. 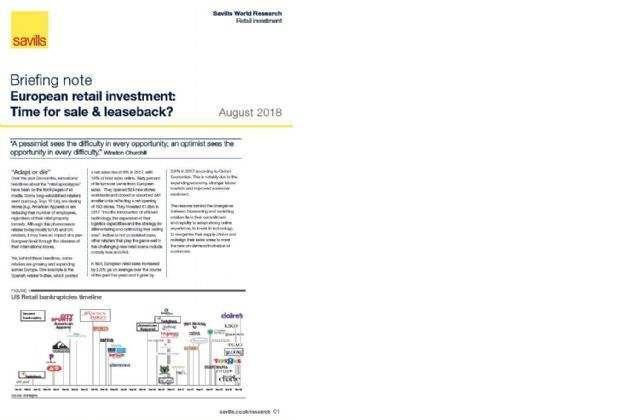 Savills says that this is six times the amount sold and leased-back during H1 2017 and 28% above the H1 average over the past five years, with SLB activity being particularly driven by Spain, Italy, and the Netherlands; mature markets where retail ownership still offers opportunities for investors. 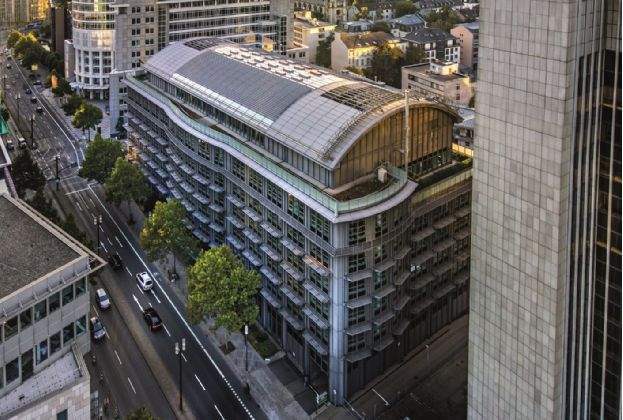 An affiliate of Starwood Capital Group, a leading global private investment firm, today announced that it has acquired FIFTY AVON, an office property in Frankfurt am Main, in a joint venture with local operating partner CELLS Property Investors from four Guernsey-based funds. Terms of the transaction were not disclosed. 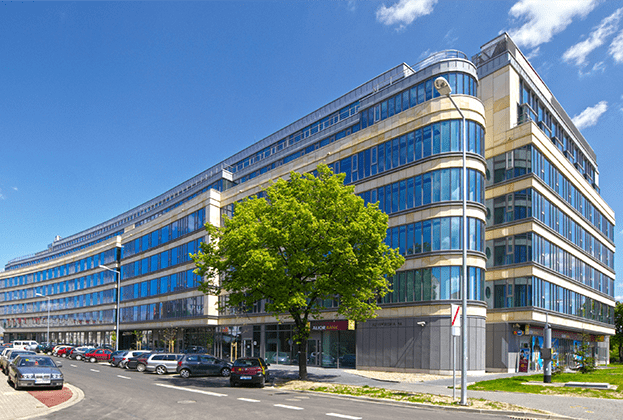 Global digital product development company intive has relocated its Poznań office to the Szyperska Office Center. 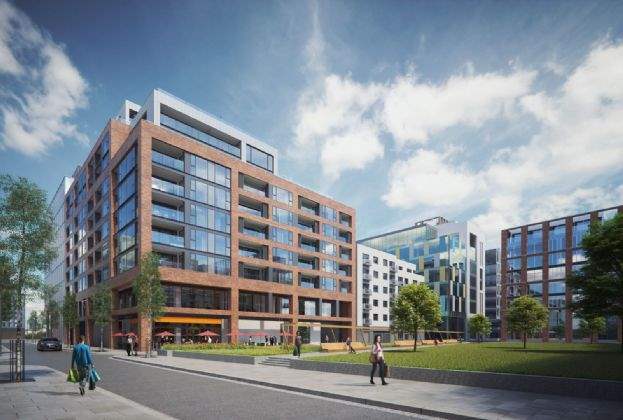 Real estate advisory firm Savills advised on the 650 sq m office lease transaction. 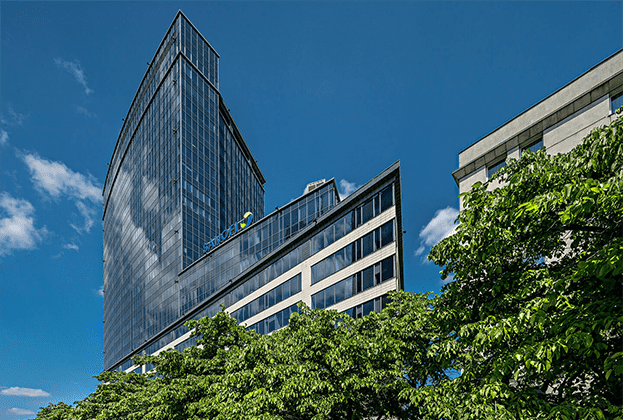 Caspio leased nearly 500 sq m of office space in K1, the tallest office building in Kraków. This office space will be the future location for Caspio’s Research and Development Center in Krakow. The tenant was represented by the real estate advisor Savills. 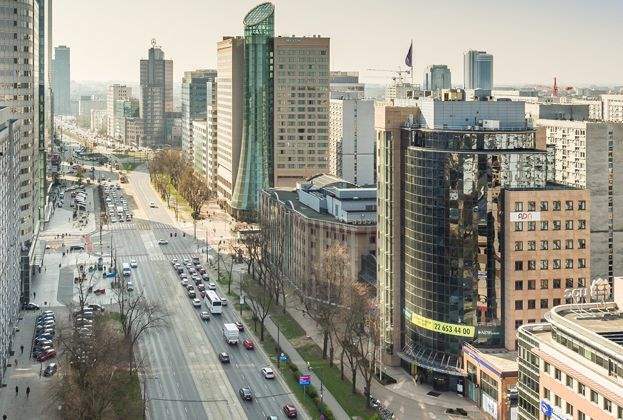 Asian investment in European property reached unprecedented levels at the end of 2017, almost double the previous year exceeding €25.5bn, according to international real estate advisor Savills. Chinese investment in Europe peaked in 2017 at almost €9.5bn, up from the €2.7bn five year average. Very dynamic were also investors from Hong Kong (€6.5bn, 254% yoy), Singapore (€4.2bn, 12% yoy), Republic of Korea (South Korea) (€2.1bn, 71% yoy) and Malaysia (€0.7bn, 180% yoy). 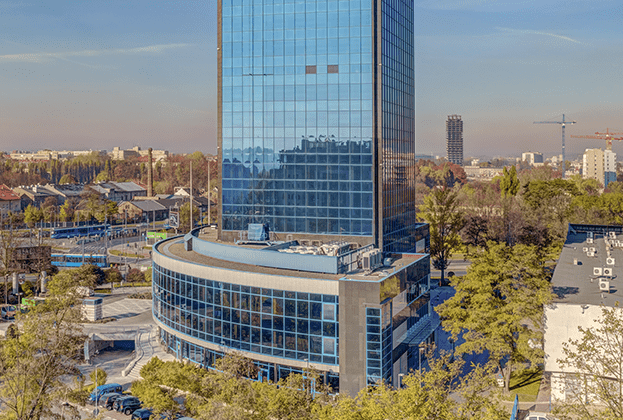 After almost two decades AEW Europe decided to sell Atrium Tower office building located in Warsaw. The new owner of the property is VIG FUND, the real estate investment vehicle of Vienna Insurance Group (VIG). 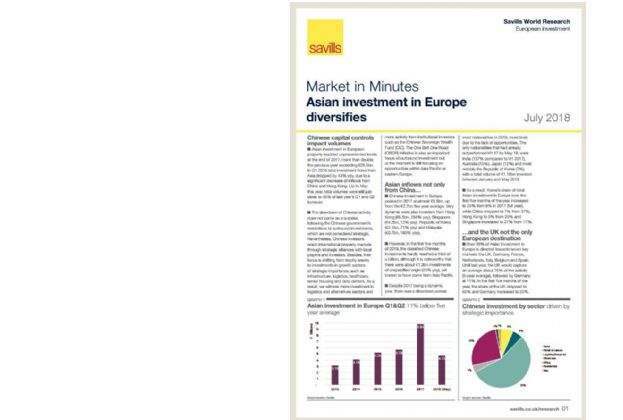 Real estate advisor Savills represented AEW Europe in the transaction.